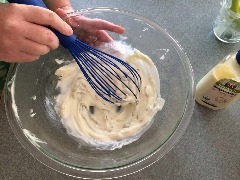 Whisk together mayo with lemon juice, grated garlic, fresh basil, salt and pepper. Pulse pita chips until fine. Pulse shrimp a few times. 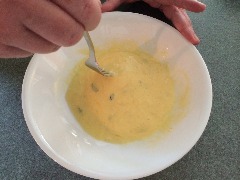 Whisk together egg and 1 tablespoon of garlic and basil mayo. 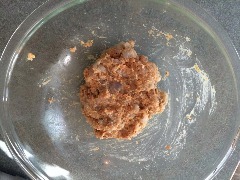 Fry in a high heat oil (such as safflower or grapeseed oil) for about 3 minutes each side, or until shrimp is no longer translucent. 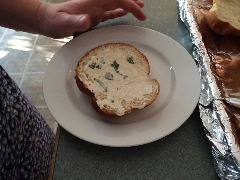 Slice and toast a brioche bun and spread each half with garlic and basil mayo. 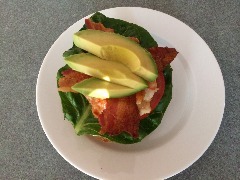 Top with romaine lettuce, tomato, bacon and avocado. ​My inspiration for this came about a week ago after a day of visiting Topsail Beach and watching injured sea turtles be released back into the wild (unbelievable to see, to find out more check out the Karen Beasley Sea Turtle Hospital). Turns out watching adorable sea turtles swim off into the ocean blue works up an appetite. 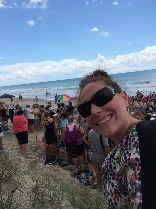 ​ We went to a place I had first visited over 10 years prior, The Beach Shop and Grill. Tucker decided he wanted the shrimp burger (he's been on a shrimp kick lately). 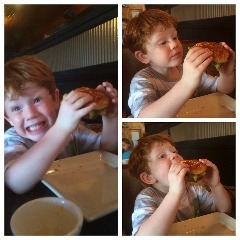 This particular shrimp burger was fried shrimp on a bun (and super delicious according to Tucker). 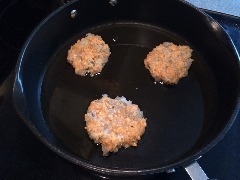 I began to ponder up ways that I could actually make a shrimp "burger". 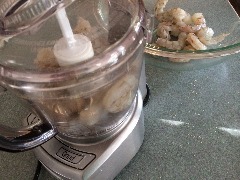 I gathered my fresh shrimp and other ingredients from the store and set out to create a simple and quick meal. Upon inspection, I discovered I did not have any bread crumbs. What was I to do? 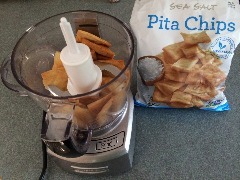 I remembered by grandmother making dishes with saltine crackers, and since I did not have any of those, salted pita chips were going to have to do (and they worked perfectly). ​I originally wanted to make my own fresh aioli, but instead I spent the day dodging water balloons with Tucker and our neighbors. So, instead I gathered store bought ingredients to create my own lemon basil mayonnaise (or aioli if you want to be fancy) . Good news! I was able to make this entire burger in under 20 minutes! How did it taste? 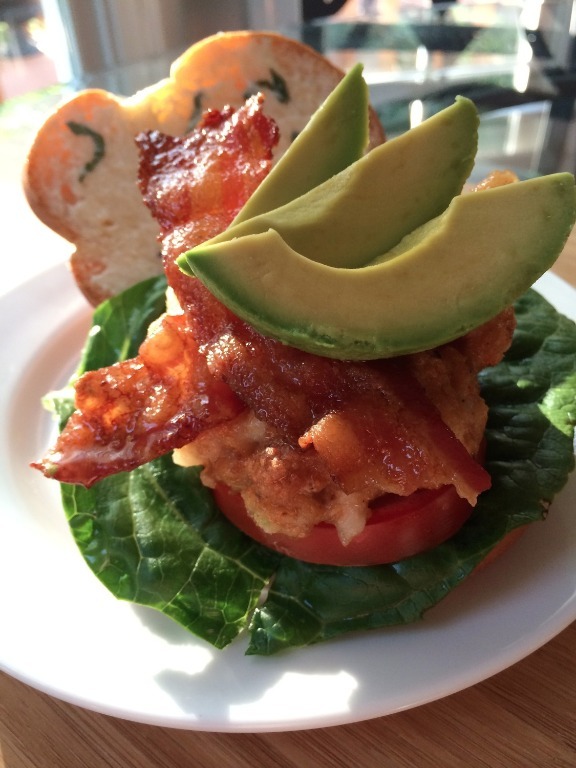 The shrimp was delicious and tender and all in one patty (yeah) and was complimented by salty crunchy bacon, creamy avocado, juicy tomato and crisp lettuce. My favorite part? The mayo! I am normally NOT a mayo person (actually it kind of grosses me out) but the fresh basil really took it to the next level and elevated the whole flavor of the sandwich. So, for all those summer days ahead, spend your time doing what you love, whether it be turtle watching, throwing water balloons or just enjoying time with friends and family, because in no time at all, you'll discover that where there's a meal, there's a way! 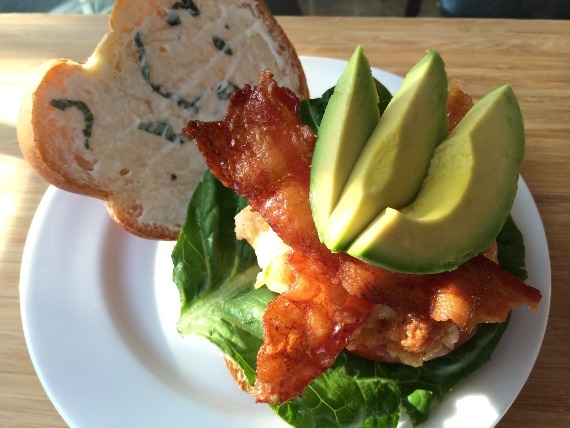 Big Taste for a "shrimp" burger. This is beautiful and making me crazy for some good food!!!!! Thanks Cindy! It was a hit at our house, and that fact that it took me less than 20 minutes to make....winner winner time for dinner!